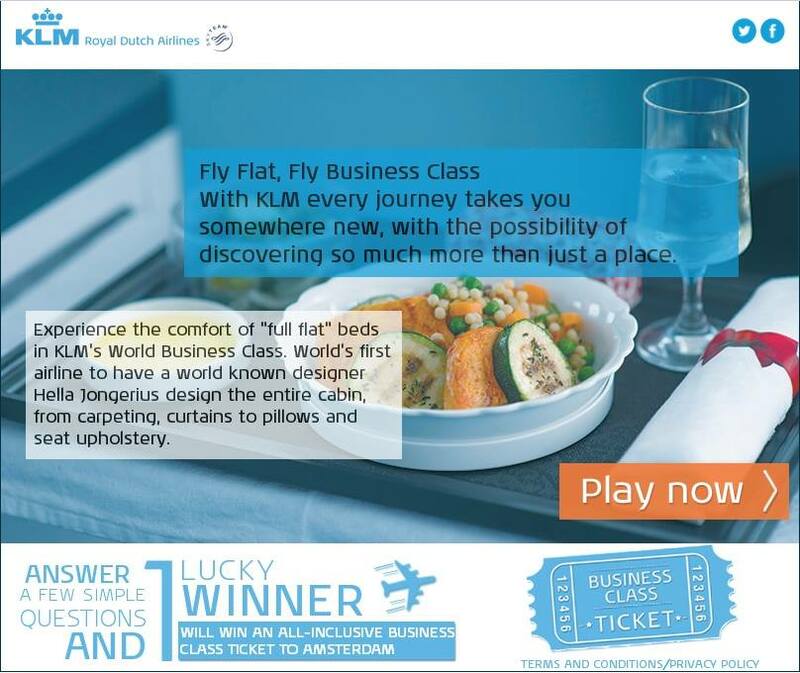 Experience the comfort of full flat beds in KLM’s World Business Class. World’s first airline to have a world known designer Hella Jongerius design the entire cabin, from carpeting, curtains to pillows and seat upholstery. Answer a simple question and win an all-inclusive business class ticket to Amsterdam.